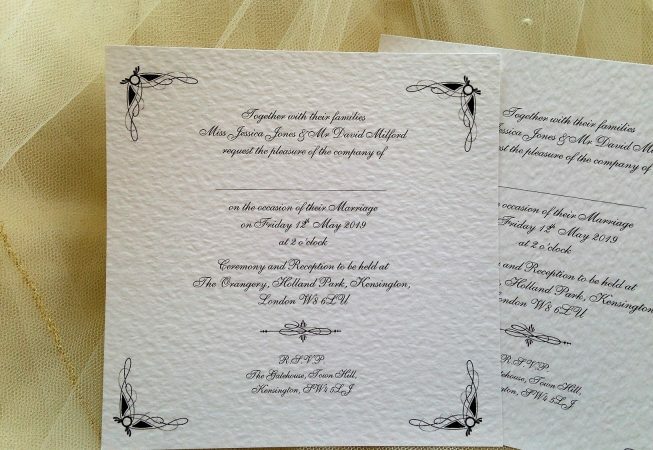 Ritz Wedding Invitations are a simple classy design with an attractive black boroque style frame. 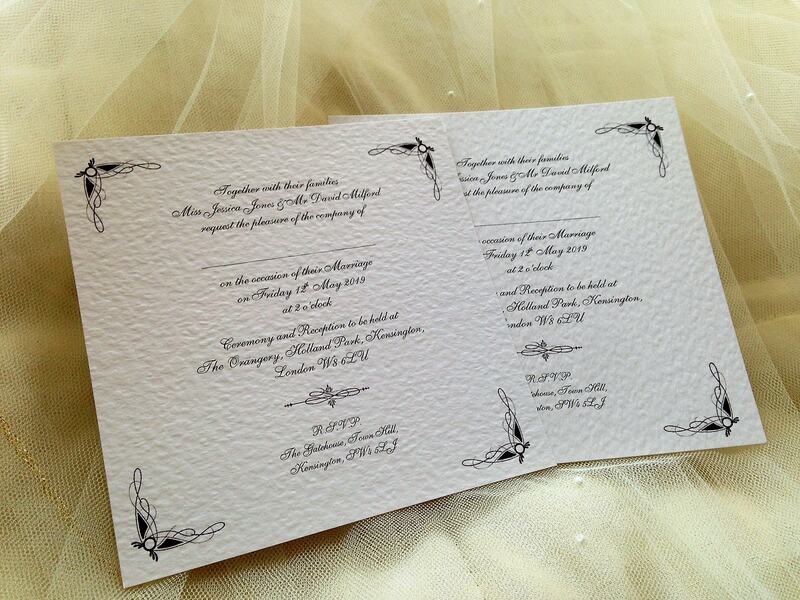 They are available in white or ivory hammered card (270gsm). Select your font styles to create the look you’d like. 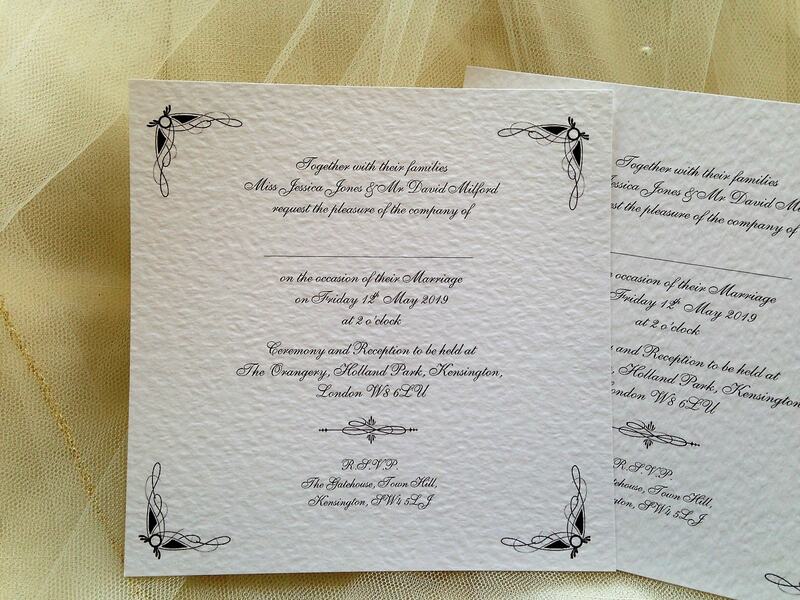 Supplied with free envelopes and free guest name printing.